Need to charge your devices on the go but can't stand the slow charging speeds of a standard USB battery pack? If so, you could be in luck - gadget maker Hyper has just launched a Kickstarter campaign for the "HyperJuice." According to Hyper, the HyperJuice is the "world's most powerful USB-C battery pack," with a whopping 27,000mAh battery capacity. The device features two USB-C charging ports -- one 60W, one 100W -- and even a USB 3.0 port for good measure. If you own a modern Android smartphone, you've probably experienced the wonders of USB-C charging before. Compared to previous charging standards, USB-C offers lightning-fast energy transfer speeds. Indeed, thanks to the tech, some smartphones are able to charge to 80 percent in a mere 15 minutes. 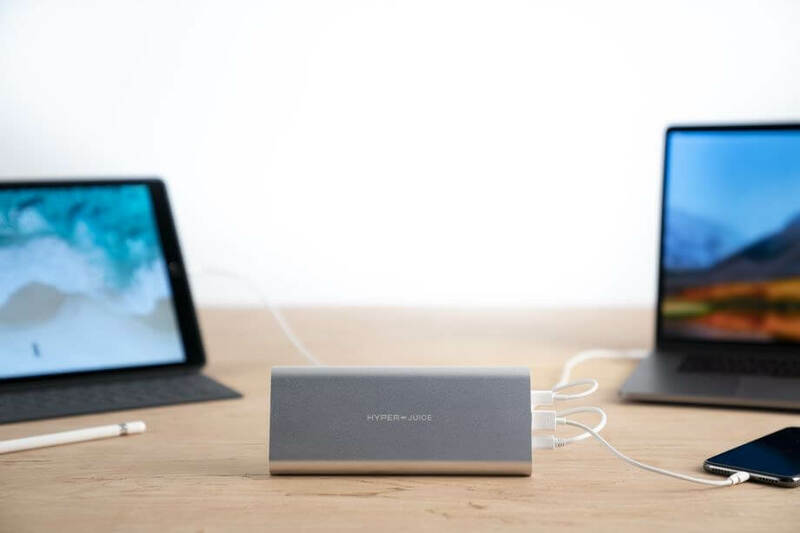 Hyper says the HyperJuice won't disappoint in that regard - the company claims its device offers faster charging, and more energy capacity than some of its biggest competitors, such as Anker's PowerCore+ PD or Omnicharge's 20 USB-C. Furthermore, the HyperJuice can allegedly be charged to its full capacity in roughly an hour. If true, that would represent another significant advantage the HyperJuice has over some of its main competitors. Whether or not Hyper's claims can hold water remains to be seen, though. Kickstarter projects often fail to live up to their creators' lofty ambitions. With that said, it should be noted that Hyper is already a reasonably established company in the tech industry, and its previous crowdfunded products seem to have been pretty well-received. If you want to take a chance on the HyperJuice, you can snag one for "50% off" its future retail price of $299 via Kickstarter for $149. As of writing, there are 453 of these "Early Bird" devices left. If they sell out, the price will get bumped up to $179 for the next product tier. The first HyperJuice battery packs are expected to ship out in November.